Ice Cream Socials: Sponsor a free make-your-own sundae bar at one of the dorms on campus. Everyone loves free food, especially college students! This is easy publicity for your organization and you might even meet some people that are interested in coming to meetings and other events. Study Break/Food: Go to a place that people are studying and start to hand out free food. This is an unexpected surprise that will be a welcome break from studying. This is another event that is easy publicity. Note: It is most effective around finals time! Moving in Help: When students are trying to move in during the first few days of school, put on your organization’s t-shirt and offer to help people move in. Carry luggage upstairs, or stay with their things while they move their cars out of the way. It’s amazing how grateful and amazed they will be at the Spirit of Christianity. Service Evangelism: Take any event that is serving people and add a twist of evangelism. When you invite people outside of your organization to join in the service activity, you add an element of outreach to the event as well as an opportunity to talk about what your organization is and why you are serving other people. If it is an event that is serving the people on your campus, you will have opportunities to tell them which group you are with, and a little about the group. 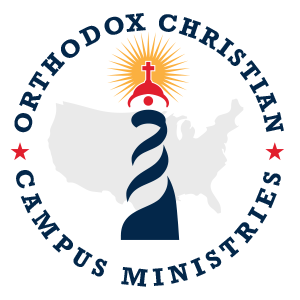 Undoubtedly, you will be asked the question, “What is Orthodoxy?” This is simply another opportunity to spread the Good News of Jesus Christ, so take advantage of it and be prepared to answer these questions. Social events: Sponsor a fun event on a weekend open to the entire campus. It is a great way to meet new people and it might give people an option instead of typical college student weekend activities. Intramural Sports / Tournaments: Get a team together and friends to play intramural sports. Intramural leagues should all be offered at the student gym or through the department of athletics. You’ll be surprised at the variety of sports offered. Trips to local attractions: Rent a bus and charge a little money to cover the cost to go to a city in the area, a museum or other local attraction. Open the tickets to the entire campus and have an adventure off campus! campus, an article in the campus paper, or even a prayer meeting or discussion about what the holidays truly mean can make an impact on campus. Icon exhibit with or without a speaker about iconography:Iconography fascinates many people, and icons are some of the most recognizable things about Orthodoxy. An icon exhibit accompanied by a presentation about iconography is a way to learn about icons and Orthodoxy while reaching a broad spectrum of people. Articles relating the Orthodox point of view in the campus paper: Our campus newspapers are flooded with articles from society’s point of view. The perspective of an Orthodox Christian tends to be different from society’s views, yet is ten times more valuable. Publish your point of view in the campus paper so that others will have a chance to read something that directs one’s thoughts to God instead of society! Trip to local monastery: A monastery is almost an opposite world from a college campus. A trip to visit a local monastery that is open to all the students on campus will give the opportunity for students to experience a world that they wouldn’t have otherwise known while spending their time on campus. play is welcome. Most often, churches are the most welcoming to young people. Community Service: See section on this webpage for possible ideas for community service. + Have questions? Contact us! There is an Annual Executive Board retreat held every summer in the North-East. Check back later to find out more details about this year's retreat. If you have started an OCCM chapter, please fill our this form below to add it to our Directory. You may also use this form to update your chapter's information.